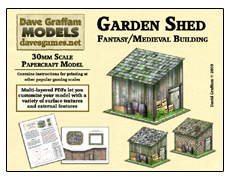 These are 30mm papercraft terrain models featuring multi-layered PDFs. All of those extra layers mean you get to choose from a variety of base textures and external features. 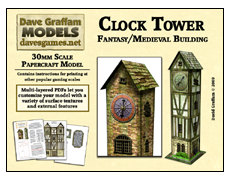 Customize your creations and print lots of different versions of each model with just a click of your mouse. 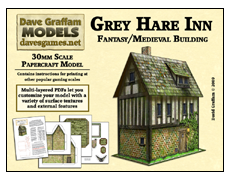 Tagged with Buildings, Dave Graffam, Paper Terrain.